Here's the press conference video featuring Magnus Carlsen and Vladimir Kramnik after their amazing game in Round 9 at the London Chess Candidates 2013. A draw - coming back from a lost position - gave the World No. 1 sole lead in the tournament. Five more rounds have to be played. The host is Anastasiya Karlovich. Play resumes today - Wednesday, March 28 - and you can watch live at the official website from 7.30 pm India time. Magnus Carlsen is the sole leader after nine rounds at the FIDE World Chess Candidates’ Tournament. On Monday the Norwegian drew with Vladimir Kramnik (Russia) while co-leader Levon Aronian (Armenia) lost to Boris Gelfand (Israel). Peter Svidler and Alexander Grischuk (both Russia) drew an amazingly complicated game and after 6.5 hours of play Vassily Ivanchuk (Ukraine) scored his first win, against Teimour Radjabov (Azerbaijan). With the second half of the FIDE World Chess Candidates’ Tournament well under way, the interest in the tournament is growing, both online and at the IET in London. Every day both the number of spectators in the playing hall and journalists in the press room is growing, and many local grandmasters can be seen at the venue. Gawain Jones, Daniel King and Luke McShane have been frequent visitors and on Monday GMs John Nunn, Matthew Sadler, Jon Speelman and Simon Williams came along. They all witnessed another great round in which the big game was world number 2 Vladimir Kramnik against world number 1 Magnus Carlsen. After 13.Nc3 White was “just better” and after 20.Qe3 it was “getting really critical for Black” (Kramnik) but then, starting with 22…Re8, Carlsen found a key defensive idea (and perhaps even the only move): 25…Nd5!. Almost by force an ending with rooks and opposite-coloured bishops came on the board where Kramnik’s extra pawn wasn’t worth much. “It just seems to work by millimetre,” the Russian said two times at the press conference. Peter Svidler and Alexander Grischuk played the most spectacular game of the tournament so far. The latter went for the ever-interesting King’s Indian Defence, and like in his game against Radjabov, Svidler played the Sämisch variation. Then, on move 12, Grischuk came up with an absolutely stunning novelty that involved a long-term piece sacrifice. Svidler went for a long think, played an interesting sequence of moves and then felt he was winning. “Of course I missed 19…h3. 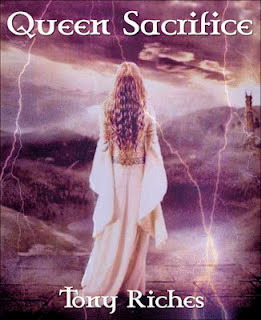 After that I realized the game continues.” Eventually White got three minor pieces for his queen, and Svidler still felt that “White should be better somehow”, but “it became a bit too messy for my liking”. In time trouble he might have missed some ways to make Grischuk’s life harder. Just after the time control Black had created so much counter play that Svidler had seen enough and accepted his opponent’s draw offer. In what was the shortest round of the FIDE World Chess Candidates’ Tournament so far, Levon Aronian of Armenia and Magnus Carlsen of Norway maintained their 1.5 point lead over Russians Vladimir Kramnik and Peter Svidler. Against Teimour Radjabov of Azerbaijan, Carlsen needed to sacrifice an exchange to wear off dangerous threats against his king, which proved to be sufficient. Aronian got a small positional advantage against Alexander Grischuk of Russia, who saved himself by going for active defence. For a moment Kramnik was in big trouble, but he escaped with a draw when his opponent Boris Gelfand of Israel refrained from playing actively on move 19. Vassily Ivanchuk of Ukraine and Peter Svidler of Russia played the shortest draw of the round in a Scotch game that quickly turned into an endgame. In the seventh round of the FIDE World Chess Candidates’ Tournament all games were finished in less than four hours. It’s hard to believe, though, that the participants were trying to be ready in time for the Chess Boxing event which is taking place at London’s Scala Club on Saturday night. Especially Magnus Carlsen and Levon Aronian have something better to do, on the night before they will play each other for the second time. Less than three hours into the round, Vassily Ivanchuk and Peter Svidler were in the middle of an interesting ending when they suddenly agreed to a draw. “I didn’t expect the Scotch, and he probably didn’t expect long castles,” is how Svidler explained the time spent by both players in what was a theoretical opening variation. “It was a new position to me. I was trying to understand what was going on, and trying not to blunder something,” said Ivanchuk. The FIDE Candidates' Tournament is taking place March 14th-April 1st, 2013 at IET London, Savoy Place. It is sponsored by the State Oil Company of Azerbaijan Republic (SOCAR) and organized by AGON and the World Chess Federation (FIDE). 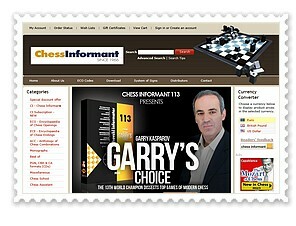 Games and information can be found at http://london2013.fide.com. By winning in round 6 Levon Aronian (Armenia) and Magnus Carlsen (Norway) increased their lead at the FIDE Candidates' Tournament to 1.5 points. The score was opened by Carlsen who beat Peter Svidler (Russia) from the black side of a Closed Ruy Lopez. Aronian profited from a blunder by Teimour Radjabov (Azerbaijan) in the 7th hour of play. In a Closed Catalan, Vladimir Kramnik (Russia) sacrificed an exchange and then a piece, but despite getting into time trouble yet again, Vassily Ivanchuk (Ukraine) defended well and held the draw. Alexander Grischuk (Russia) and Boris Gelfand (Israel) drew an exciting 3.Bb5 Sicilian. So far the FIDE World Chess Candidates’ Tournament has received amazing response from chess fans all over the world. During the first six rounds over 265,000 unique visitors from 194 countries have visited the official website. Over 70 international journalists have requested press accreditation and almost all British media have covered the tournament in one way or another. One example is the BBC, who have already done three different items on Magnus Carlsen! One of Carlsen’s main rivals, world’s number two Vladimir Kramnik, lost further ground by drawing with Vassily Ivanchuk. Once again the Ukrainian got into serious time trouble. “I had to spend some time in the opening because the position was very dangerous and of course I understood that every little mistake can lead to a loss,” said Ivanchuk. Kramnik came up with a nice positional exchange sacrifice and then did away with another piece to create a dangerous attack on the enemy king. But it was just not enough: just when his opponent needed to make 13 moves in only 1 minute and 4 seconds, the former World Champion had to go for a perpetual check. Alexander Grischuk and Boris Gelfand played the Rossolimo Sicilian (3.Bb5), a line which the Israeli got on the board many times last year in his World Championship match against Vishy Anand. About his seventh move Grischuk said: “Unfortunately Boris was very well prepared for this rare line.” After the opening the Russian grandmaster lost a pawn and then he had to "fight for the draw", but he managed to get the game sharper. With little time on the clock for both players at the second time control, Gelfand decided to repeat moves. With a weakened king position Radjabov had to be careful, and he was for a long time. “I should say that till the very last moment he was defending very well. Only through luck I managed to break his resistance,” said Aronian. The Armenian could profit from a blunder by his opponent on move 53 and thus scored an important point. After six rounds Carlsen and Aronian have 4.5 points (or “plus three” in chess slang), which is 1.5 point more than Svidler and Kramnik. Grischuk and Radjabov have 2.5 points and Ivanchuk and Gelfand 2. Friday is a rest day. Saturday, March 23rd at 14:00 GMT the seventh round will be played: Carlsen-Radjabov, Aronian-Grischuk, Gelfand-Kramnik and Ivanchuk-Svidler. The standings didn't change after Wednesday's fifth round of the FIDE World Chess Candidates’ Tournament in London as all games ended in draws. Facing his own favourite Grünfeld, Peter Svidler (Russia) got a winning position against Boris Gelfand (Israel) but after wild complications the game ended in a draw. Magnus Carlsen (Norway) also played the Grünfeld and for the first time he was under pressure, against Vassily Ivanchuk (Ukraine), but eventually he held a knight ending a pawn down. Vladimir Kramnik (Russia) got his chances in a Réti against Levon Aronian (Armenia), who held an opposite-coloured bishop ending two pawns down. The last game to finish was Alexander Grischuk (Russia) versus Teimour Radjabov (Azerbaijan). In a 5.Bf4 Queen's Gambit Declined White also got very close to a win but with a bishop sacrifice the Azerbaijani held his own. Also in that other Grünfeld game it was White who got a clear advantage. Ivanchuk played strongly and created problems for his opponent, which meant that for the first time in this tournament, top seed Magnus Carlsen was under serious pressure. “It was a very difficult game. I tried to be creative in the opening. 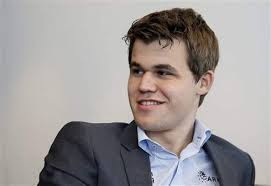 He responded well and I was worse, so I decided to sacrifice a pawn in order to get into an endgame which I thought I could hold,” said Carlsen. Kramnik then found the strong idea of pushing his f-pawn and sacrificing his a-pawn along the way. He managed to break open the centre, but then missed a strong continuation which was pointed out by computer engines. Nonetheless, after the time control the Russian reached a very promising ending. “I don’t know what the computer says but I have a feeling I missed a win,” said Kramnik, and Aronian agreed with him. During their press conference the two top grandmaster showed numerous amazing variations to the (online) spectators, and after about half an hour they still didn’t find a win for White, despite being two pawns up in an opposite-coloured bishop ending. Most of this press conference was in fact watched by Alexander Grischuk and Teimour Radjabov in the press room as well. Their game finished shortly after that of Kramnik and Aronian. It was the same story here: Grischuk got close to a win, but failed to convert the full point. In the 5.Bf4 variation of the Queen’s Gambit Declined, the Muscovite was very much in control: “I think I got a completely winning position but I should not have let Black sacrifice on c5. I underestimated that." With his 34th move Radjabov managed to change the nature of the position completely and at the same time he got his opponent rather confused. “I thought I was checkmating but 36…h5 was cold a shower," said Grischuk. Eventually a complicated ending was reached where Radjabov had three passed pawns against a knight for Grischuk, but there the Russian decided to force the draw by liquidating to an equal rook ending. And so after five rounds the standings are the same with half a point more for each player. 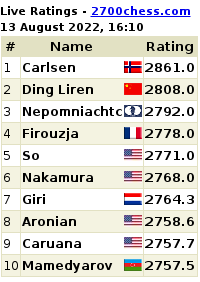 Aronian and Carlsen are tied for first place with 3.5 points while Svidler is the only player with 3. Kramnik and Radjabov have 2.5 points, Grischuk has 2 points and Gelfand and Ivanchuk are in last place, with 1.5 points. Thursday, March 21st at 14:00 GMT the sixth round will be played: Svidler-Carlsen, Kramnik-Ivanchuk, Grischuk-Gelfand and Radjabov-Aronian. Statistics: From the start of the tournament till round 5 over 200,000 unique visitors from 185 countries came to the official site. In Tuesday’s fourth round of the FIDE World Chess Candidates’ Tournament in London Magnus Carlsen of Norway caught Levon Aronian of Armenia in first place. Carlsen beat Alexander Grischuk of Russia in a Ruy Lopez Berlin, while Aronian was held to a draw by Peter Svidler of Russia in a Queen’s Gambit Accepted. The two oldest participants, Boris Gelfand of Israel and Vassily Ivanchuk of Ukraine, drew a very interesting game that started with the rare Chigorin Defence. Teimour Radjabov of Azerbaijan and Vladimir Kramnik of Russia drew a Nimzo-Indian that was always more or less balanced. After enjoying their first rest day, on Tuesday the eight top grandmasters returned to the Institution of Engineering and Technology (IET) at Savoy Place for the fourth round of the FIDE World Chess Candidates’ Tournament. It was also the first day that, in the commentary room, host IM Lawrence Trent was joined by former World Championship contender GM Nigel Short. Throughout the tournament, online spectators can follow the games while watching and listening to live commentary simultaneously. In the playing hall, the audience enjoys a similar experience thanks to Samsung tablets which are waiting for them on their seats at arrival. The first game to finish was a relatively short draw: tournament leader Levon Aronian split the point with Peter Svidler after 31 moves. In this game, Svidler showed once again that he has come to London very well prepared. The grandmaster from St. Petersburg successfully employed a rare line of the Queen's Gambit Accepted in which Black actually hangs on to his c-pawn with an early ...a6 and ...b5. “During the game I was trying to remember what my intention was, but I failed," said Aronian. According to Svidler, his opponent didn't play the most dangerous plan: "This is actually not such a straightforward line but with some precision Black tends to equalise if White goes for the pawn grab. I suppose the critical lines are somewhere where White ignores the pawn for a while." Svidler's 10...Rb8 instead of 10...Ra7 is a new idea (played only once before) that involves a long-term pawn sacrifice. It worked well, and Svidler equalised quite comfortably. "It's nice to have half a rest today. Somewhat nicer for me than it is for Levon I'm sure but for me it's fairly nice," said Svidler. A bit more than 3.5 hours into the round, Magnus Carlsen won his second game of the tournament to catch Aronian in first place. In the popular Berlin variation of the Ruy Lopez, his opponent Alexander Grischuk started spending a lot of time early on. An important moment was 17…f5, a move disliked by Carlsen. “I missed a lot of things with this move. I completely overestimated my position. I still think Black is fine but [during the game] I thought Black was better,” said Grischuk. One of Black's problems was his bad bishop on f8 – the reason why his position looked better than it was. As so often, Ivanchuk played a rare opening set-up. With Black he went for the Chigorin Defence (1.d4 d5 2.c4 Nc6) and it took Gelfand a few minutes to decide on which line to play. In a position that looked a bit better for White, on move 22 a very nice piece sacrifice was found (and played instantly!) by Ivanchuk. After some wild complications White ended up with an extra bishop on h2 that was completely out of play, and there Black could force a perpetual check. Radjabov agreed that he got “nothing out of the opening". “I probably mixed up some things in the opening, how I got this position without the two bishops. It’s kind of a dream position for Black.” But the Azerbaijani managed to avoid serious mistakes, and so Black’s advantage was never more than symbolical. After four rounds Aronian and Carlsen are tied for first place with 3 points while Svidler is the only player with 2.5. Kramnik and Radjabov are on 50% with 2 points, Grischuk has 1.5 points and Gelfand and Ivanchuk are still in last place, with 1 point. Wednesday, March 20th at 14:00 GMT (India time 7.30 pm) the fourth round will be played: Ivanchuk-Carlsen, Svidler-Gelfand, Kramnik-Aronian and Grischuk-Radjabov. Levon Aronian is the sole leader at the FIDE World Chess Candidates 2013’ Tournament after three rounds of play. On Sunday the Armenian grandmaster beat Vassily Ivanchuk of Ukraine, who overstepped the time limit for the second day in a row. In what was a very exciting round, co-leader Teimour Radjabov of Azerbaijan lost to Russia’s Peter Svidler in a Sämisch King’s Indian. Magnus Carlsen of Norway beat Boris Gelfand of Israel with Black in 57 moves from the old Cambridge Springs variation of the Queen’s Gambit Declined. Russian grandmasters Vladimir Kramnik and Alexander Grischuk drew a Grünfeld game in 35 moves. Two and a half hours into the third round of the FIDE World Chess Candidates’ Tournament a remarkable situation occurred: in all four games, between the two contestants there was a time difference of about an hour on the clock. Thanks to their preparation Peter Svider, Vladimir Kramnik, Magnus Carlsen and Levon Aronian enjoyed a big time advantage against Teimour Radjabov, Alexander Grischuk, Boris Gelfand and Vassily Ivanchuk respectively. Their game started with the Fianchetto Variation of the Grünfeld. Because many moves were quite logical, Kramnik’s preparation went as deep as move 21, when he felt he had a slight advantage. At some point Grischuk had to give up a pawn, but his piece activity offered enough compensation. “Sacha played very correctly. I am not sure if I had any improvement on what I played,” said Kramnik afterwards. Poor Vassily Ivanchuk lost on time for the second day in a row. The Ukrainian is known for his wide opening repertoire, and today he tried his luck with an opening that’s popular at club level: the Torre Attack (via a Trompovsky move-order). Levon Aronian responded well to his opponent’s aggression, and his wonderful 19th move gave him a big advantage. While his opponent’s clock was ticking away Aronian actually didn’t play that convincingly, but he won anyway. The chess fans were spoilt with yet another win at the end of the day. After two quick and uneventful draws, top seed Magnus Carlsen managed to beat Boris Gelfand with Black. In this game it was the Israeli who spent lots of time. “It’s a rare line, a very original position. The pawn structure isn't determined yet. I had to think about the best way to configure it,” said Gelfand. With his last move before the time control (40.h5) he gave his opponent unnecessary practical chances, and when the queens were traded Carlsen’s two passed pawns on the queenside decided the game. “I’m very happy to win and now that Levon won his second game… it’s still early in the tournament but it’s good to keep pace,” said Carlsen. After three rounds Aronian is the sole leader with 2.5 out of 3 while Carlsen and Svidler are in shared second place with 2 points. Kramnik, Grischuk and Radjabov have 1.5/3 while Gelfand and Ivanchuk are in last place with 0.5/3. Monday, March 18th is the first rest day. Tuesday, March 19th at 14:00 GMT the fourth round will be played: Carlsen-Grischuk, Radjabov-Kramnik, Aronian-Svidler and Gelfand-Ivanchuk. Levon Aronian and Teimour Radjabov went into shared first place in the second round at the FIDE World Chess Candidates' Tournament in London on Saturday. Aronian won against Boris Gelfand, who blundered material. Radjabov outplayed Vassily Ivanchuk, who eventually lost on time in what should be a lost position any way. Magnus Carlsen got no opening advantage against Vladimir Kramnik and the two quickly drew. Alexander Grischuk and Peter Svidler also split the point, but not before both players had had an advantage in the game. The FIDE World Chess Candidates' Tournament started peacefully on Friday in London with all four games ending in draws. In the first round the players playing the black pieces were all slightly higher rated than their opponents, and all four managed to avoid serious problems. Over the last few days the IET’s Lecture Theatre has been transformed into an atmospheric chess arena, with specially designed tables, chess pieces and logos. Asked about his opinion, Magnus Carlsen of Norway said: “To say something about that I guess I need to play some more games, and perhaps some longer games as well!" The world’s number one drew rather quickly with world number three Levon Aronian of Armenia. In what was the top game of the round, Carlsen played the Bogo-Indian and equalized rather comfortably. “In general, Levon with Black, that's as tough as it gets. It's an important game for me but at the same time it's the first round, and sometimes it's going to be quiet.” Aronian said he had “expected a bit more from this game”, but played inaccurately early on and then lost his opening advantage. Not only the chess fans have been awaiting this event eagerly; 6-times Russian Champion Peter Svidler confessed that the last couple of days were "quite tense" for him. He was happy to start his first game, in which he faced his compatriot Vladimir Kramnik. It became clear once more just how high the level of opening preparation by the players is when Svidler revealed that he had actually looked at Kramnik’s rare choice of the Semi-Tarrasch. After the exchange of queens, Svidler felt the position should be very close to equality. “Perhaps White has some slight pressure if he is very lucky and accurate with move orders.” Kramnik was “pretty much worried” but still found a good way to solve his problems. In yet another Bogo-Indian, Radjabov’s 16…d5 was a straightforward way to solve the opening problems. Gelfand, who actually saw this move coming, said: “I had the feeling White would find something but when I came to the position I couldn't find anything.” Many pieces were traded, and just before the time control the position was a dead draw. The last game to finish was Ivanchuk-Grischuk, an Open Catalan with Black playing his king’s bishop to the modest e7 square, where a check on b4 is considered to be a safe option. Grischuk’s explanation was: “I saw that two guys played the move …Bb4+ already and Kramnik was threatening it, so I thought I had to be original!” Although Ivanchuk had a tiny advantage at some point, the draw was agreed just after the first time control. Without exception the players expressed their joy to play this tournament in London. “I'm always enjoying my presence here; it's such a great city!” said Levon Aronian. The Armenian grandmaster has already attended several shows since he arrived. “The only thing I don't like about London is the weather,” said Alexander Grischuk, who is actually the only player who smokes, and who needs to leave the building for it. And so after the first round the tournament has no leaders nor tail-enders. Saturday, March 16th at 14:00 GMT the second round will be played: Carlsen-Kramnik, Grischuk-Svidler, Radjabov-Ivanchuk and Aronian-Gelfand. The FIDE World Candidates Tournament is taking place March 14th-April 1st, 2013 at IET London, Savoy Place. It is sponsored by the State Oil Company of Azerbaijan Republic (SOCAR) and organized by AGON and the World Chess Federation (FIDE).